Awesome All Black Bolt!...............Now $750.00 OFF!!!! Urban Performance Styling: The Bolt® is stripped down, devoid of chrome parts and epitomizes the “Urban Performance Bobber” look. The compact chassis proudly showcases the 58 cubic inch (942cc), air-cooled, 60° V-twin sitting at the heart of the bike. High-Tech Engine: The Bolt uses modern technology to create a riding experience superior to other similarly sized machines. Even fuel injection and ignition timing maps have been carefully chosen specifically for this bike to deliver class-leading performance with strong low- and midrange torque sure to bring a smile to every rider’s face. Ready to Customize: For riders who value personalization, the options for the Bolt are limited only by the owner’s imagination. As we say at Star® motorcycles, “We build it. You make it your own.”® And as the perfect canvas for customization, Bolt is the ultimate example of that philosophy. 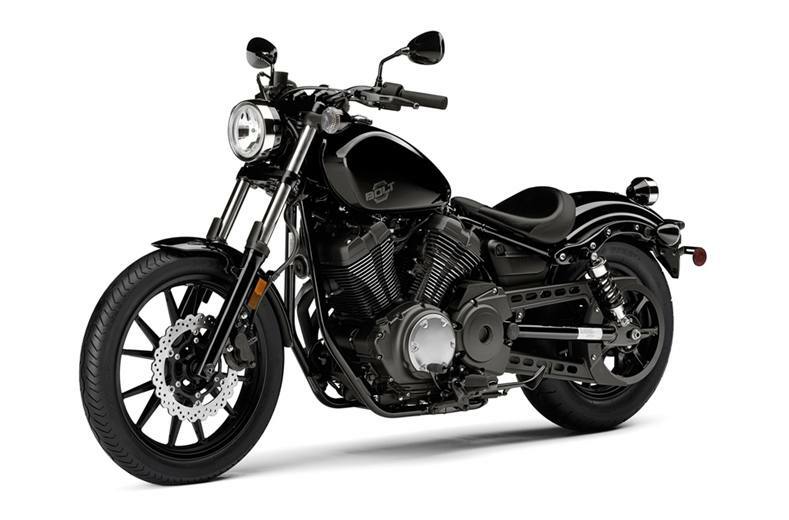 Unique Bolt Persona: Components such as the 3.2 gallon fuel tank, belt drive, front and rear wheels, digital meter and steel fenders combine to create a distinct look in the Star Motorcycles line-up. 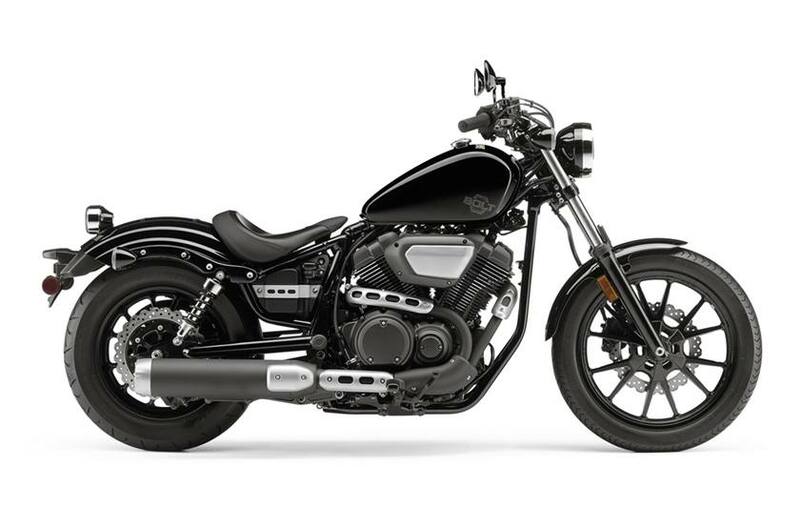 Modern Air-Cooled V-Twin: The 58 cubic inch (942cc) engine is an air-cooled SOHC 60º V-twin with four valves per cylinder, a pent-roof shaped combustion chamber, and 9.0:1 compression ratio. The engine is designed to provide excellent power and superior low-end torque. Fuel Injection: Sophisticated fuel injection is used on the Bolt to deliver ultimate urban riding fun with strong acceleration. 3D maps for ignition timing and fuel injection have been developed to deliver outstanding acceleration in the mid- and low-speed ranges. Compact Air Cleaner: The stainless steel air cleaner cover provides a “raw metal” look that accentuates the Bolt’s distinctive styling. And the air cleaner design provides great intake efficiency and enhanced torque characteristics. Agile Wheelbase: Bolt’s short, 61.8-inch wheelbase contributes to the bike’s lively handling, providing for tight turns in city riding and solid handling on the open road. Modern Wheels and Tires: 12-spoke cast wheels are used to provide strength and toughness. Bridgestone® 100/90-19 size front and 150/80-16 size rear bias-type tires help provide excellent road grip. Slim, Stylish Fuel Tank: The 3.2 gallon fuel tank is a traditional teardrop style, with a slim shape that includes flattened top and side surfaces to enhance Bolt styling. Slick Instruments: Compact digital LCD instruments offer clean styling with excellent visibility. Bobber-Style Seat: Solo rider saddle adds to the minimalist bobber look.